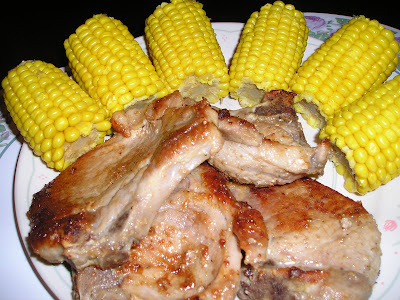 We had porkchop and corn the other night for our dinner. We bought this frozen corn and we are surprised that it was so sweet. I ate my PC with rice and pepper.. yum!